Cherry blossoms are indigenous to many East Asian states including Japan, Korea, and China. Japan has a wide variety of cherry blossoms called sakura. Most varieties produce light pink to pure white blossoms, but there are also cherry trees with dark pink or slightly yellowish blossoms. All of them are amazingly beautiful, like these white blossoming twigs of cherry tree. 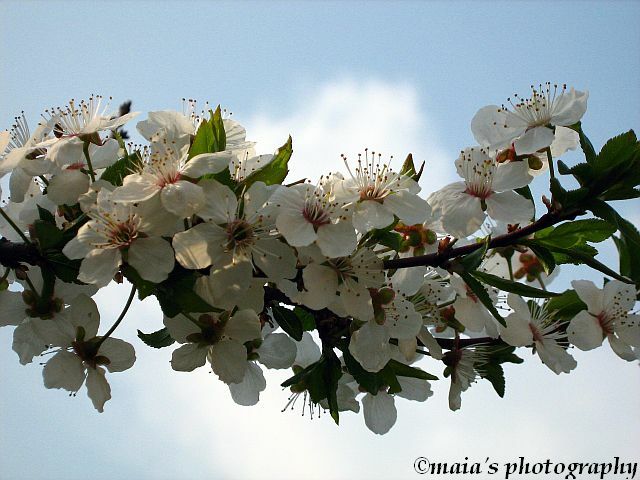 In China, the cherry blossom is a symbol of feminine beauty, the feminine principle and love. In the Japanese culture, the cherry blossom represents the cycle of life. 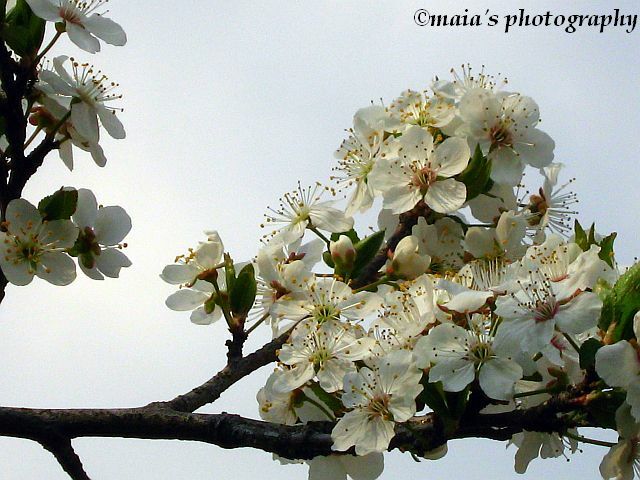 The blossoms represent the beautiful but transient nature of life. You've capture them beautifully Maia. Spring blossoms are beautiful, yet ephemeral.